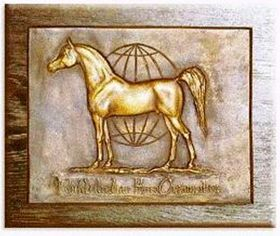 The WAHO Trophy is a unique bas-relief bronze sculpture of the WAHO horse logo. The sculptor is a German artist, Mrs. Brigitte Eberl. Each WAHO member country participates in their own award. Since 2005 the UK WAHO Trophy has presented annually to one UK bred Arabian horse chosen by the AHS Council from nominations submitted to them. WAHO asks that the AHS should look for an Arabian horse which has in some way been an excellent ambassador for the breed or, in the case of older horses, has achieved the same through its immediate progeny. 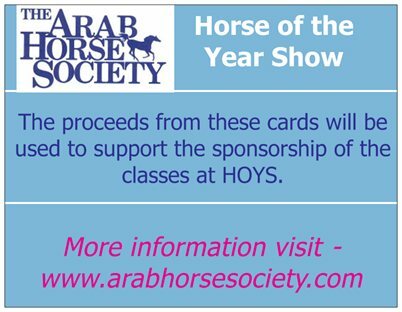 The winner must be a Pure Bred Arabian registered in the Arab Horse Society Stud Book and have been bred and still domiciled in the UK. It must also be present at the AHS National Championship Show to receive the award. The bas-relief bronze sculpture is an Annual Challenge trophy, so it must be returned to Windsor House by 31st January each year to be awarded to a new winner the following July at the AHS National Championship Show. A special Certificate commemorating the award will also be provided by WAHO, suitably inscribed with the name of the winner and presented as a permanent reminder to the recipient of the wonderful achievement. Nominations for the Award should be submitted on the WAHO Trophy Nomination form and sent to The Chairman of the Shows & Events Committee at Agriculture House by 29th January 2019. The trophy will be presented at the 2019 National Show and the winning horse must be present at the Show. All nominated horses must be registered with the AHS in the name of the current owner. 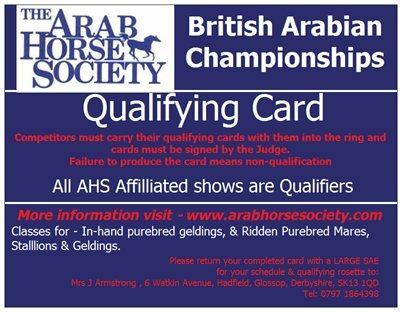 The award is open to UK bred Purebred Arabians who are promoting the breed, for example through outstanding achievement in performance disciplines, showing or through its immediate progeny. Nomination Forms can be obtained from Agriculture House or by downloading from the AHS website.